Thanks to my good friend Paul Broman for sending these in to me. As much and as often as I shoot, it really is nice to have a photographer friend to get a few shots of me doing what I love, so I will really treasure these images. 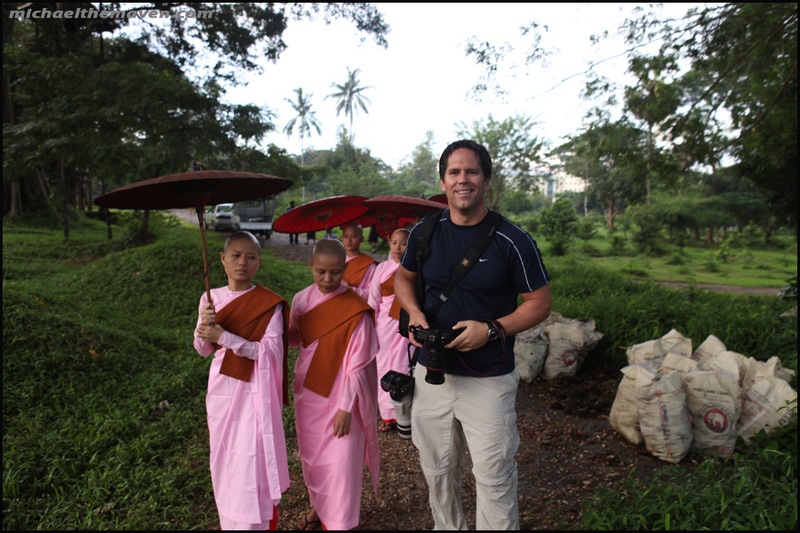 When I first got off the plane in Burma, I immediately noticed that for the most part, I felt like a giant. 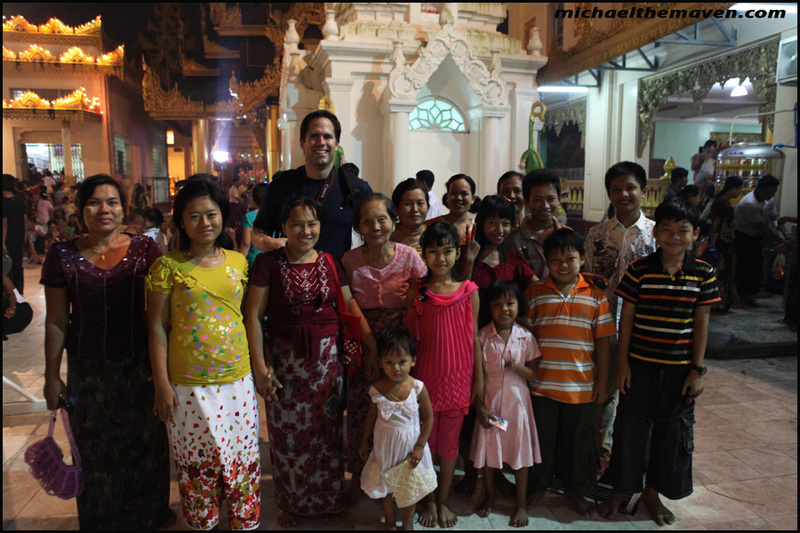 I also noticed that the Burmese people were super, super nice and friendly. 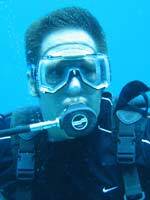 Everywhere we went and everyone we spoke were very polite and curious. Burma is slowly becoming more and more "open" as a country and I absolutely had an amazing time both trips I took last year. Highly recommended if you every have the chance to go and visit. This family asked if they could have their picture taken with Paul and I. I think their faces really capture the general attitude of most Burmese, quiet, kind, and happy. 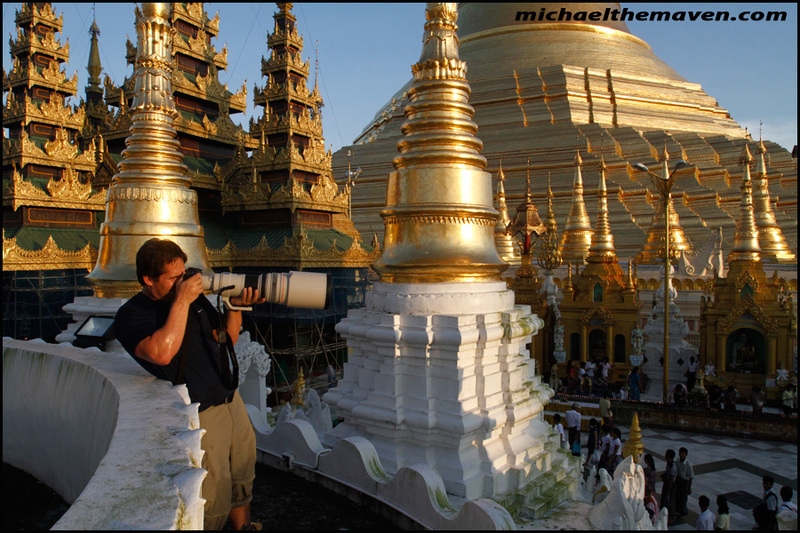 Shooting in the Shwedagong Pagoda. It was quite warm, and looking at my pant legs you can see I am sweating like crazy. On this shoot and several others, I would set up and shoot away for 10-15 minutes and the next thing I knew, I was literally standing in a giant puddle of sweat I kid you not. I just dressed in Nike Dri Fit & Columbia fishing pants and it wasn't a big deal as long as we were drinking plenty of water. 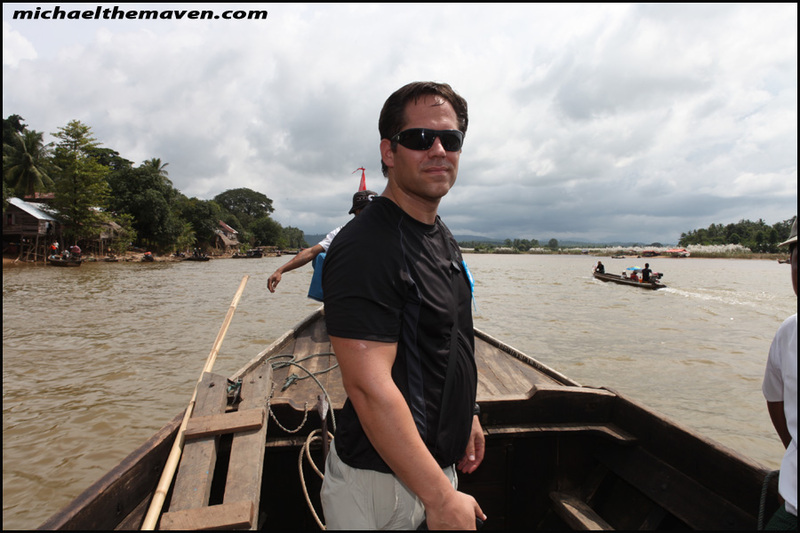 On the boat in Shwe Kwyn. As far as I know we were some of the first foreigners allowed to visit. The soldiers at check points were freaking out when they saw us riding in. Somehow our translator Jack had obtained written permission from the Vice President to let us in and once we showed them the papers and verified it, we were treated extremely well. The local police followed us everywhere, but by the end of our time there, we were like old buddies eating and hanging out together. Just a heads up, I have cancelled my North Korea Trip (for now at least). When I was filling out the paper work, I learned that photographers are typically not given visas, and I did not want to set up all these flights and hotels just to get there without knowing if I would be allowed in. I have a feeling I will still go, but I will have to put it off for another year or two.